Thank you to The Peak of Tres Chic for featuring our work. To see the original post, click here or follow @peakoftreschic on Twitter. 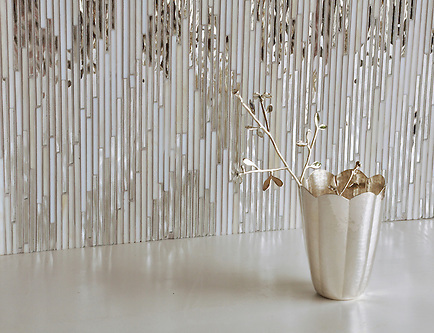 Loom, a jewel glass mosaic, is shown in Quartz, Aquamarine, Tanzanite and Turquoise. 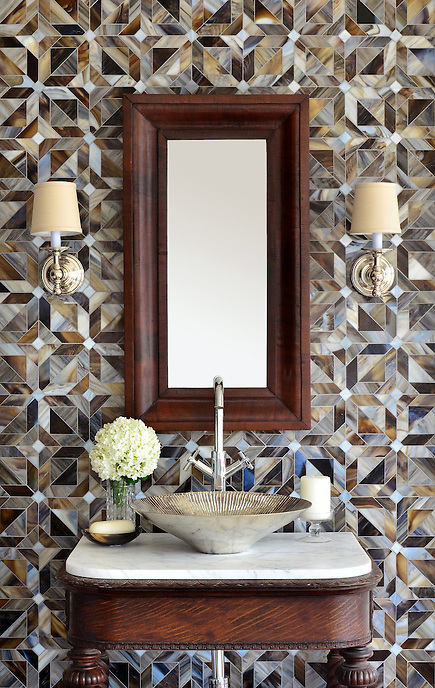 Pamir, a jewel glass mosaic, is shown in Quartz and Mirror. 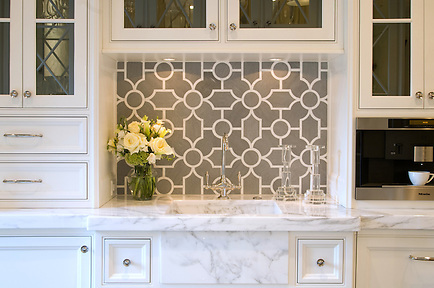 Sophie, a stone waterjet mosaic backsplash, is shown in Calacatta Tia polished and Thassos honed. 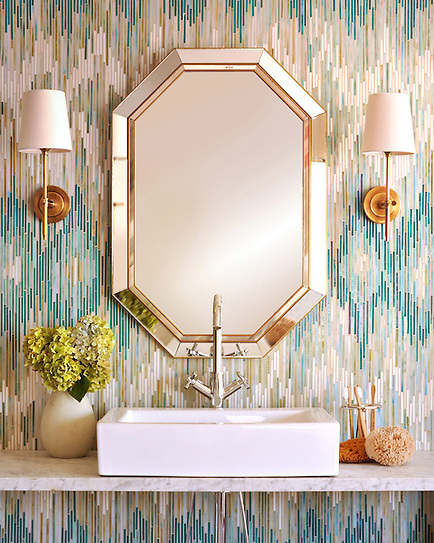 Fiona, a jewel glass waterjet mosaic, is shown in Aquamarine and Dusk Mirror. 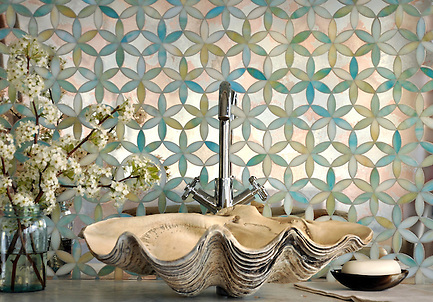 Rubrik, a jewel glass waterjet mosaic, is shown in Pearl, Schist, and Lavastone. 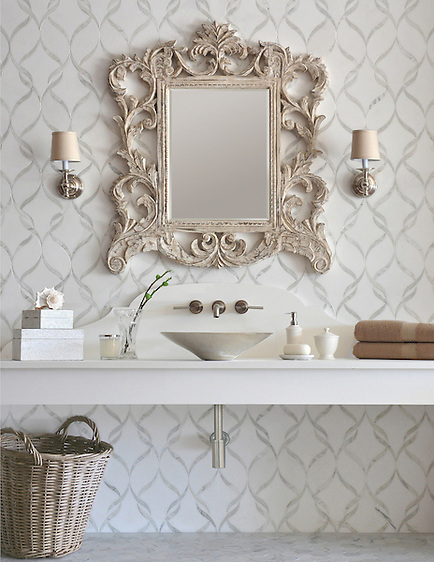 Chatham 1, a stone waterjet mosaic, is shown in Driftwood and Calacatta Tia honed. 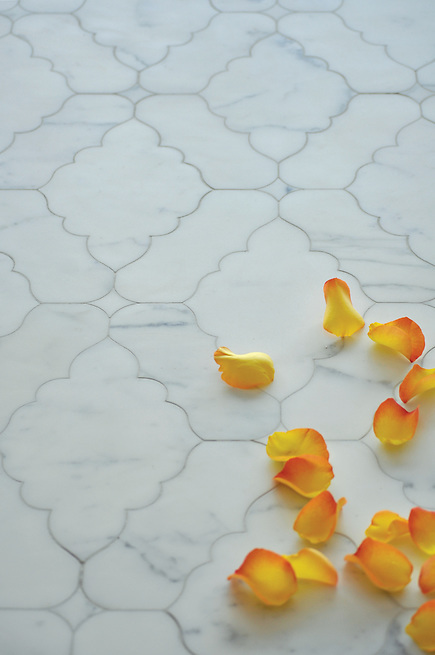 Ganesha, a stone waterjet mosaic, is shown in Calacatta Tia (p). To see what else is new at New Ravenna, click here or share your thoughts by clicking on the social links below.